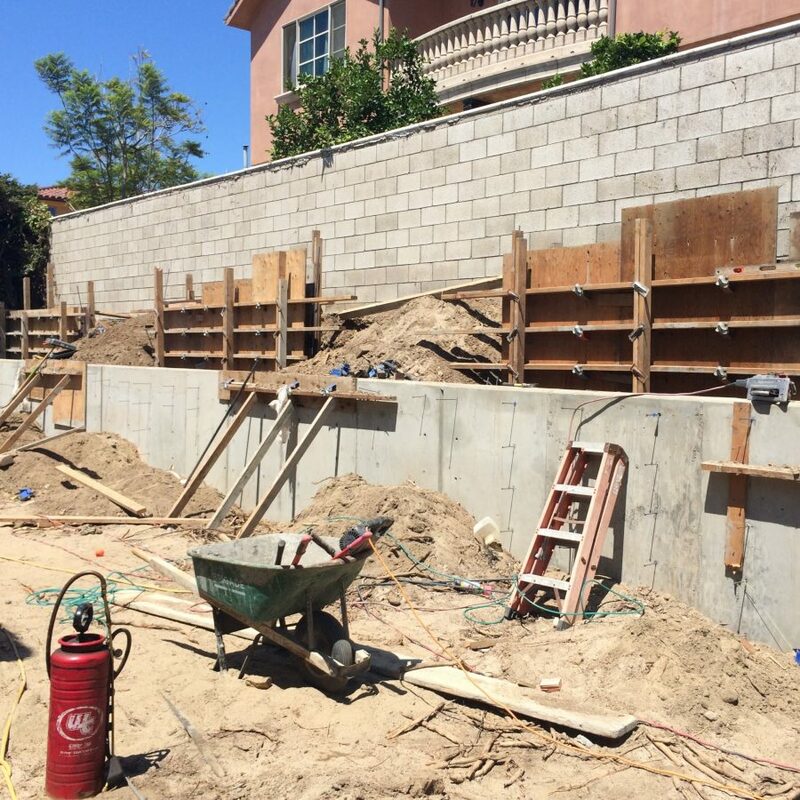 This home in Huntington Beach had a small back yard due to its close location to the beach and an existing slope. 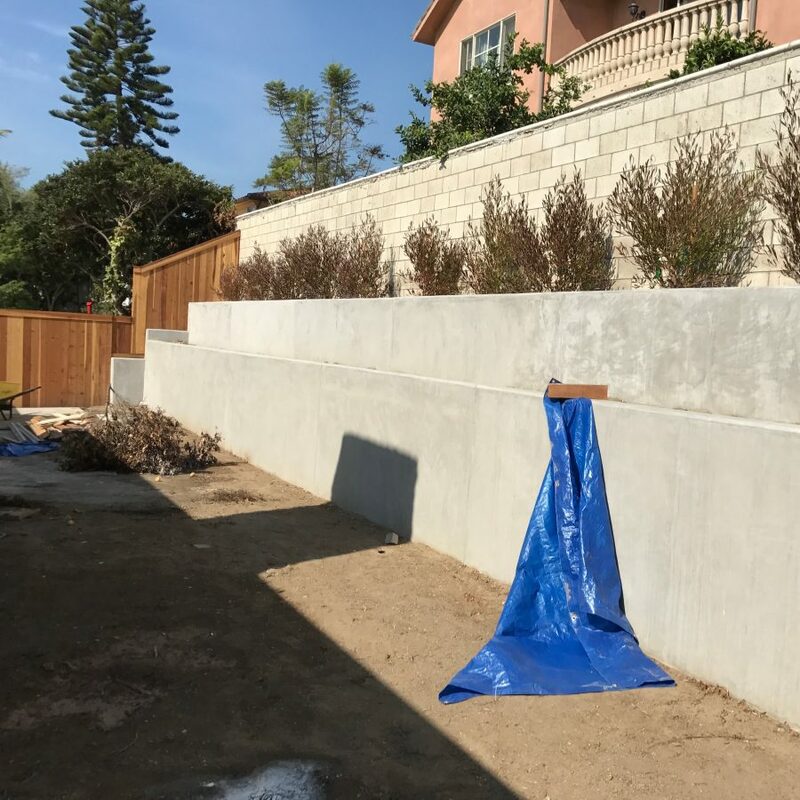 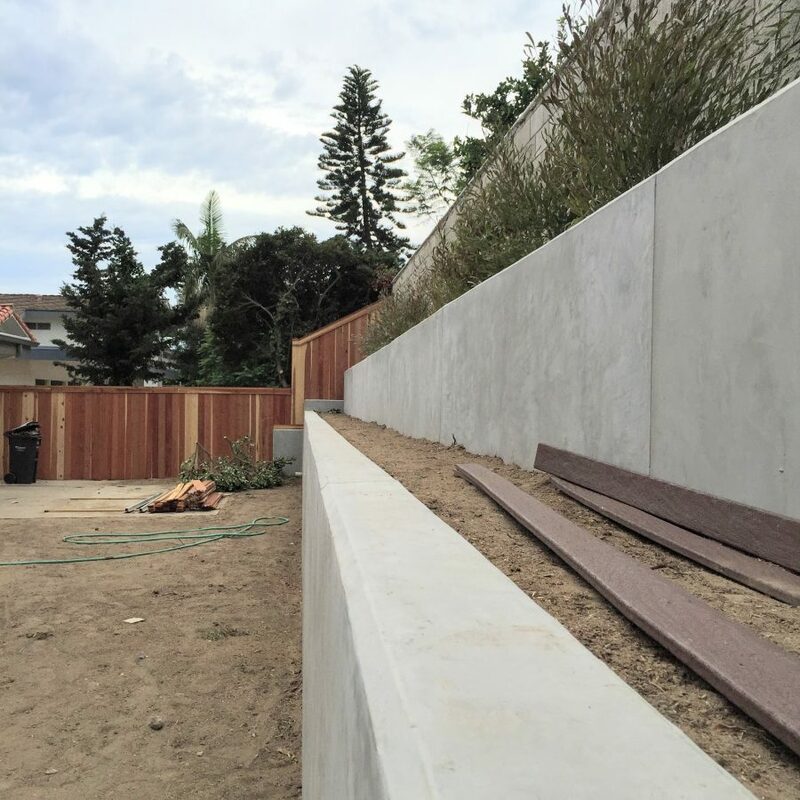 In order to maximize the outdoor living space and to create some use of the existing slope to have landscaping, a 66 ft long retaining wall was designed using two tiers. 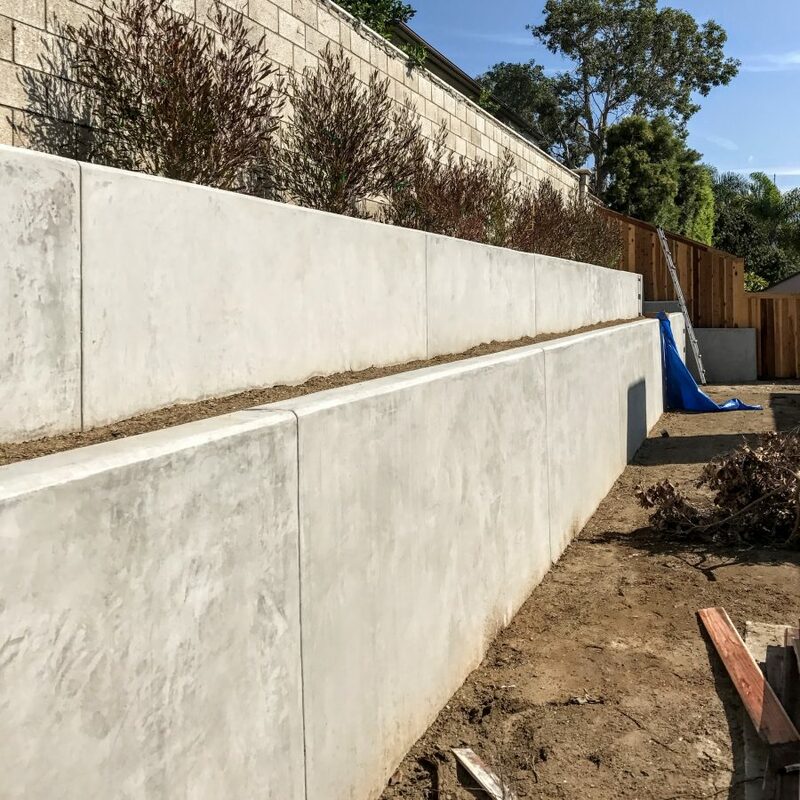 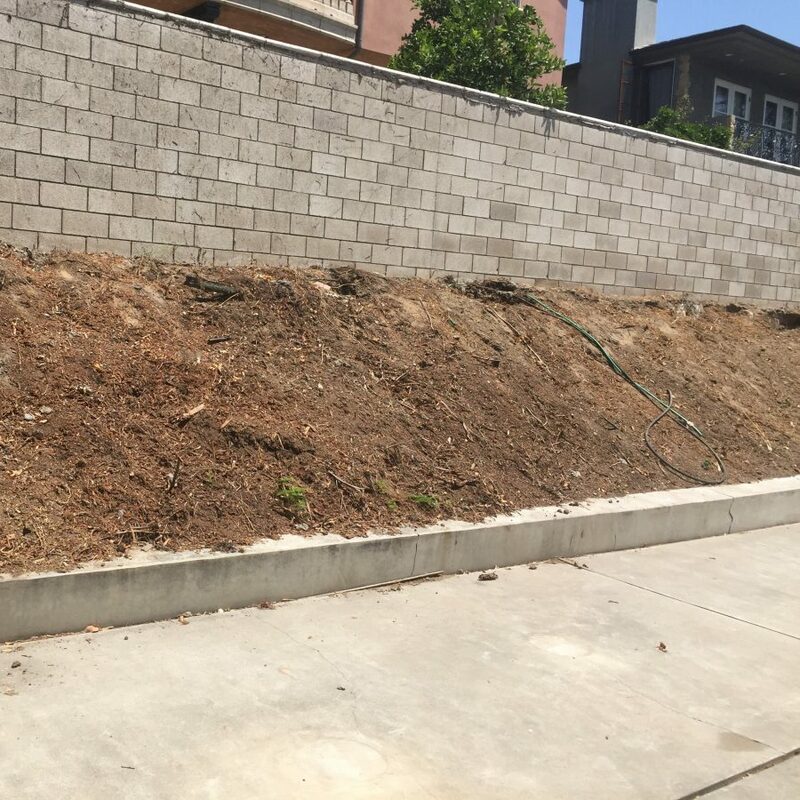 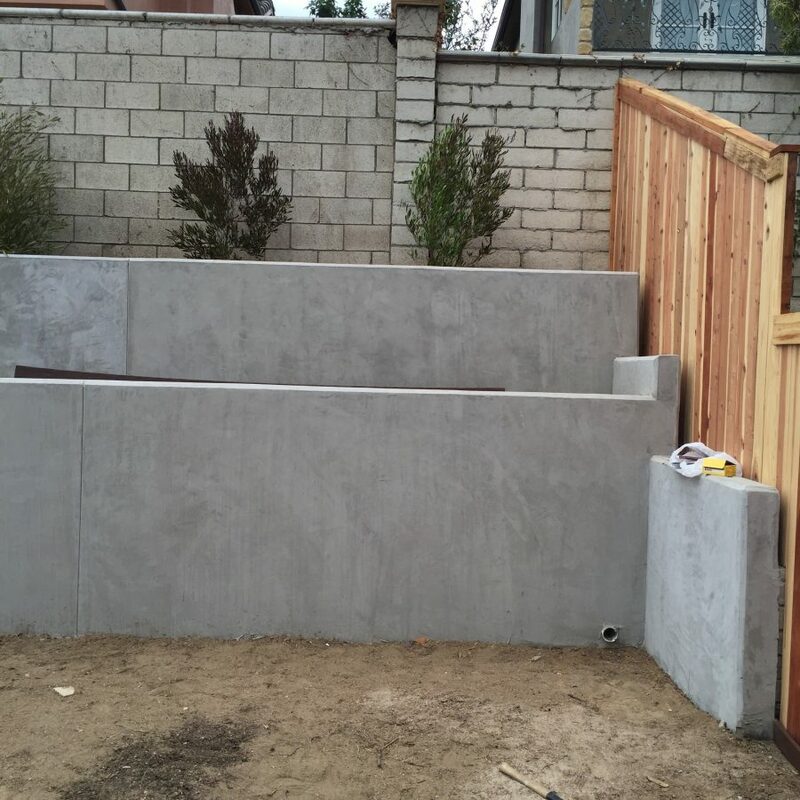 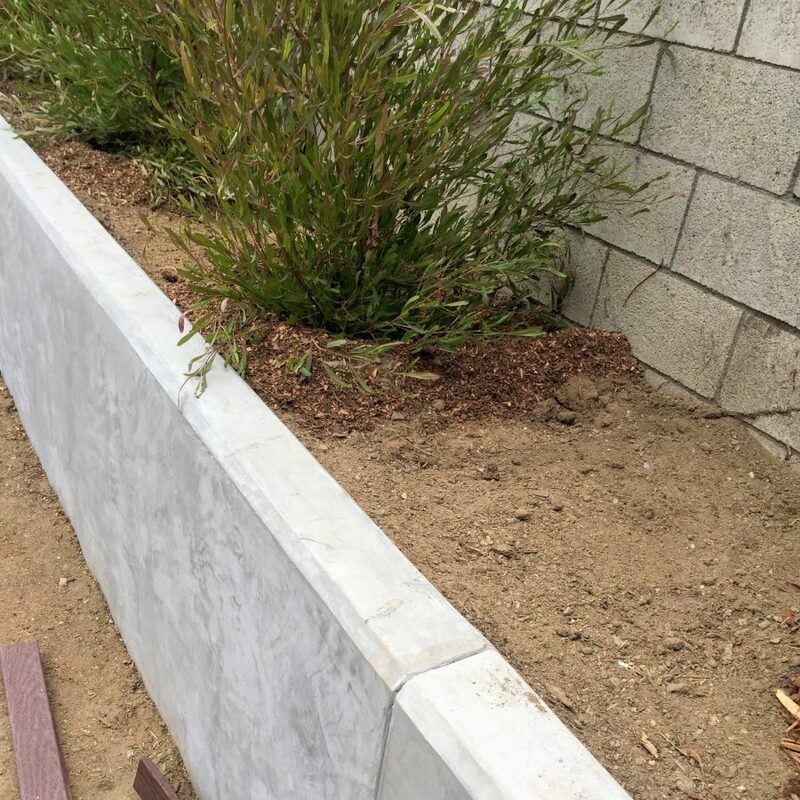 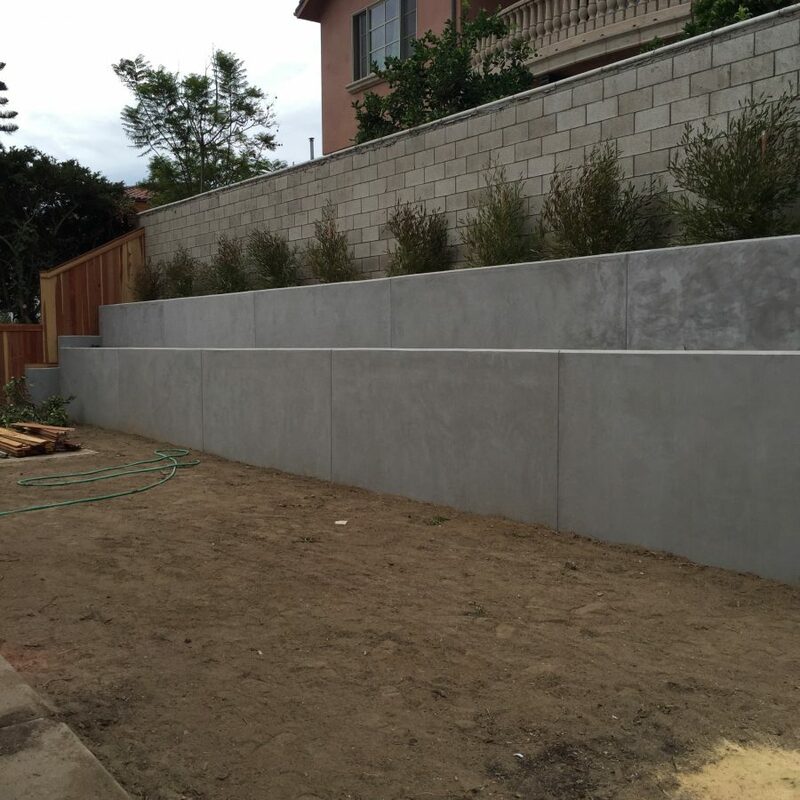 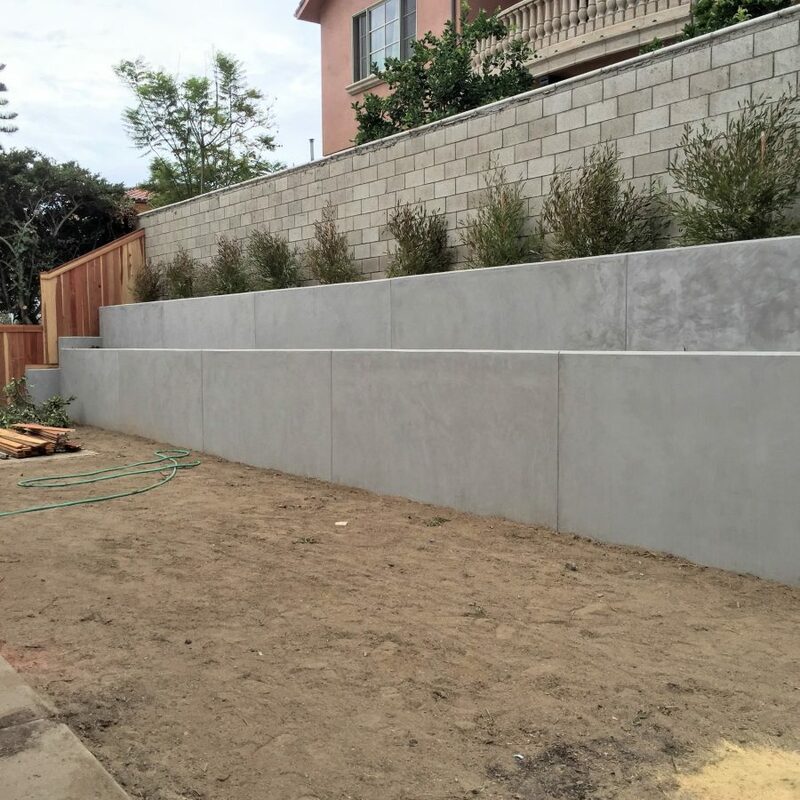 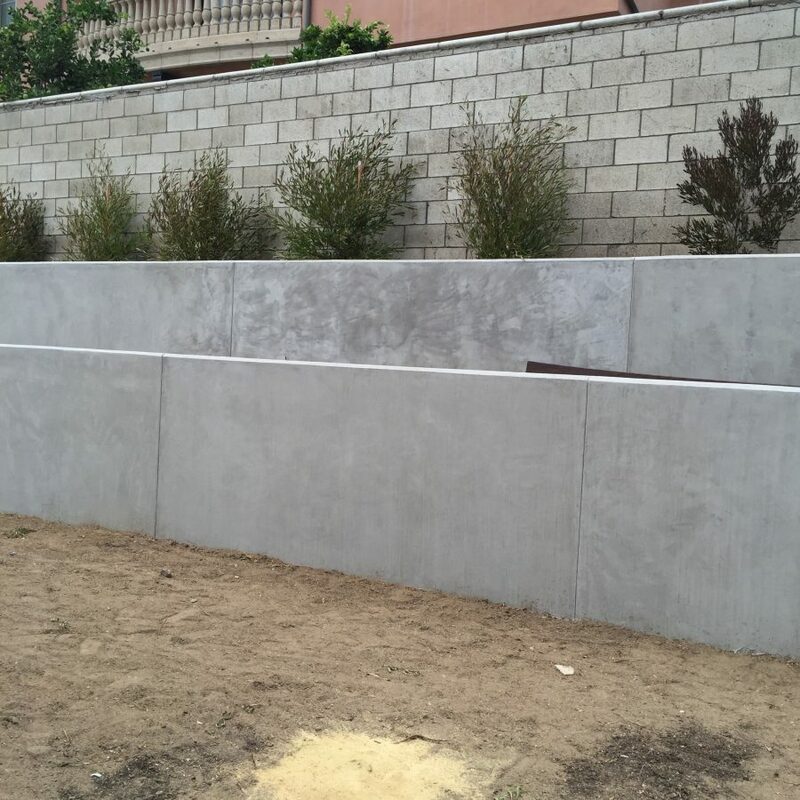 The retaining wall which was built in tiers helped create two planter areas and helped breakup the retaining wall to avoid one large imposing wall. 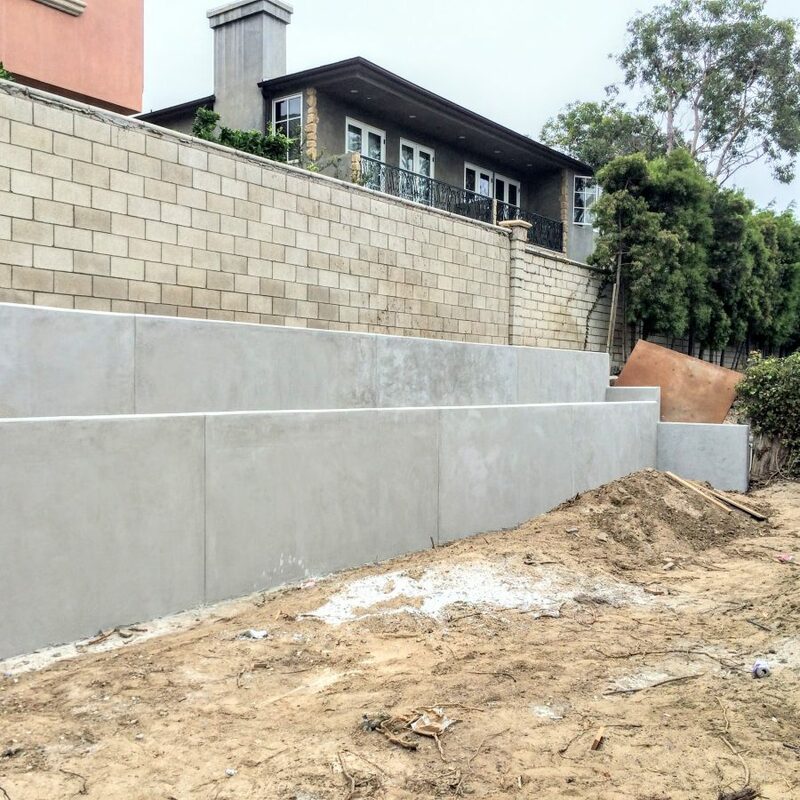 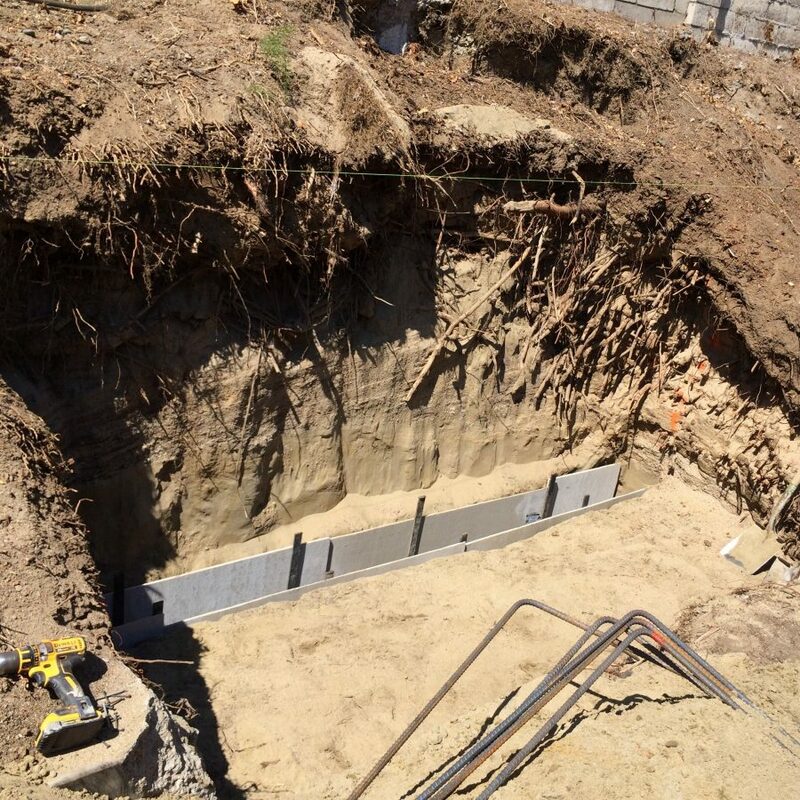 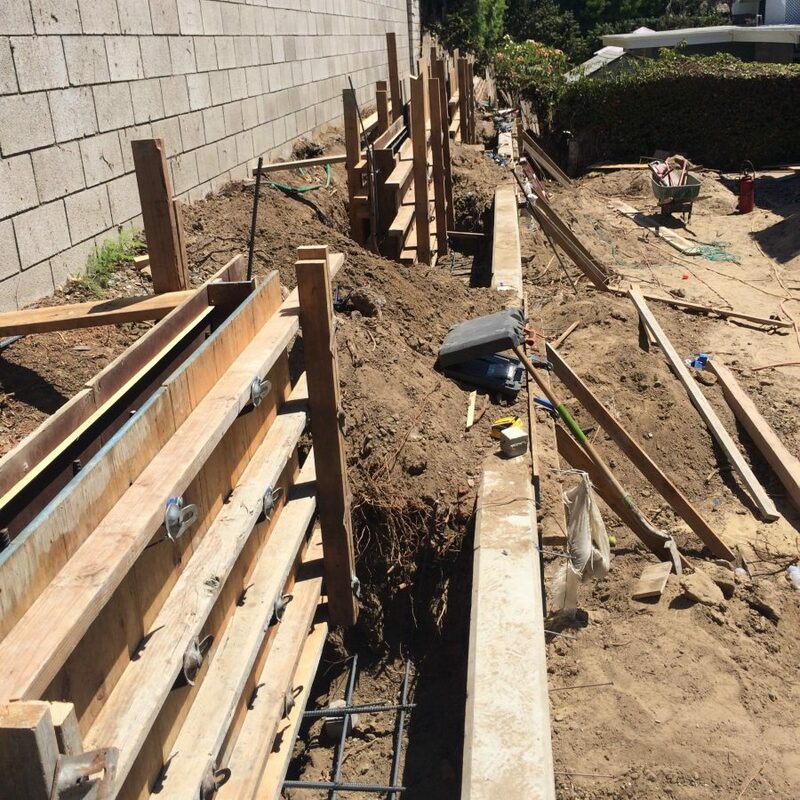 The lower tier retaining wall had a height of 4′-6″ above ground and was constructed out of concrete. 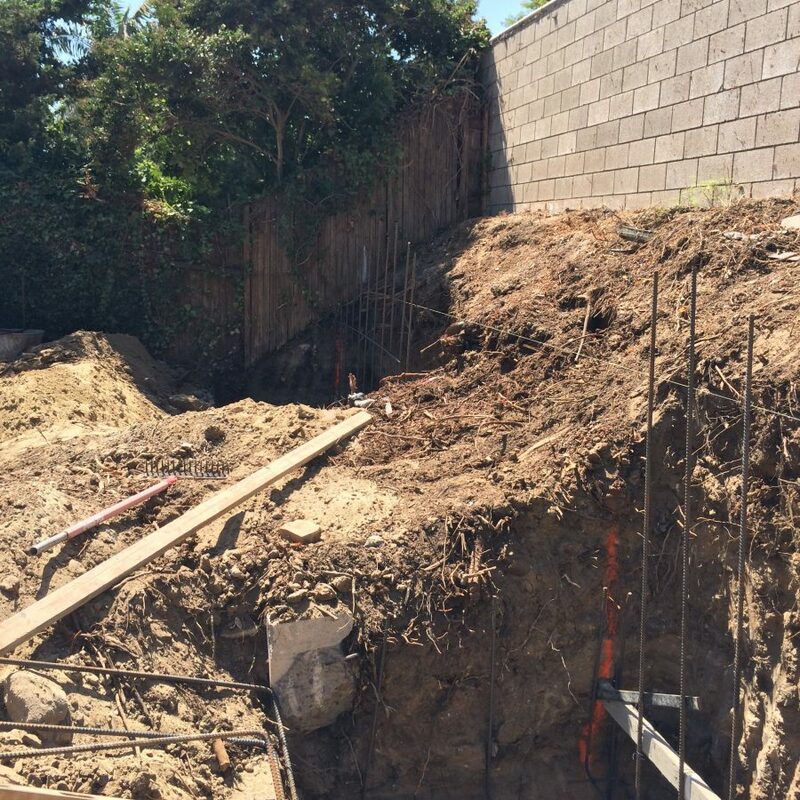 The upper tier wall was offset 2′-0″ and had a height of 3′-0″ above ground. 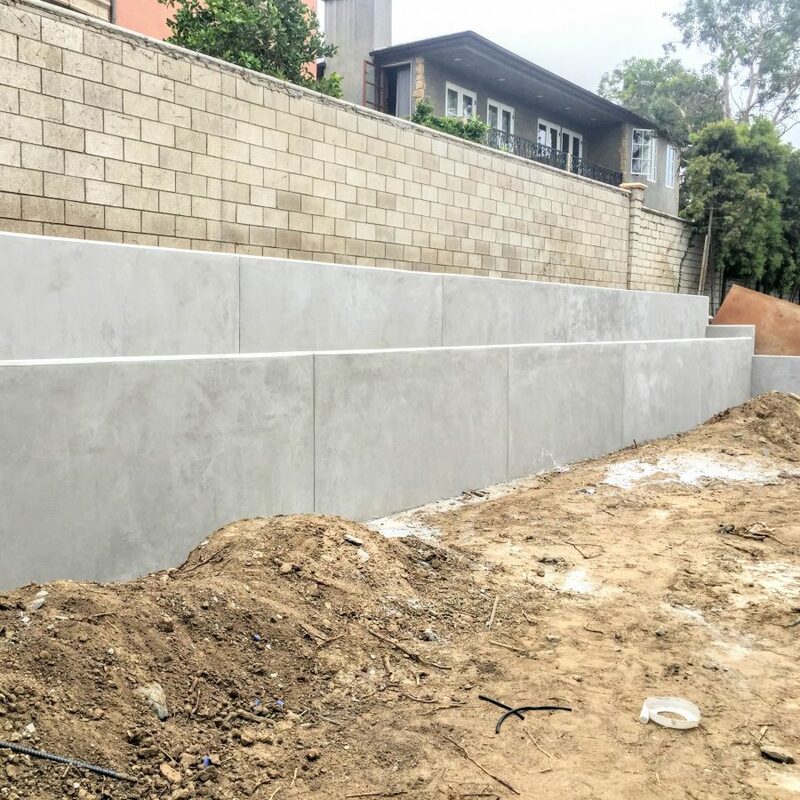 The wall was initially designed to be built out of CMU block, but the contractor decided to build the wall out of concrete since it was faster to build and stronger than CMU blocks. 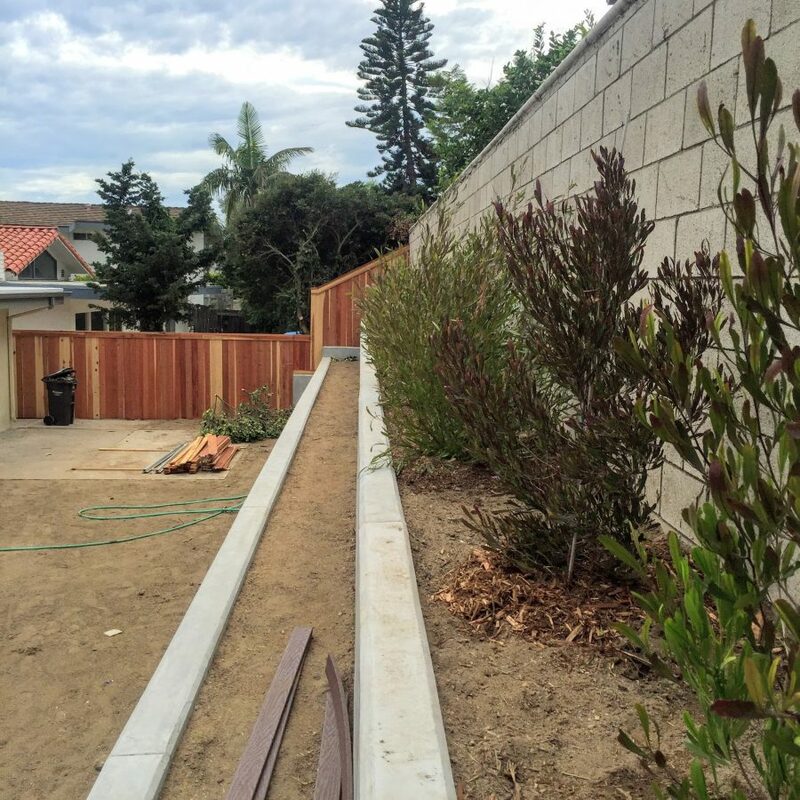 The retaining wall was constructed in 8 ft. long section followed by a 8ft long segment of sloped dirt. 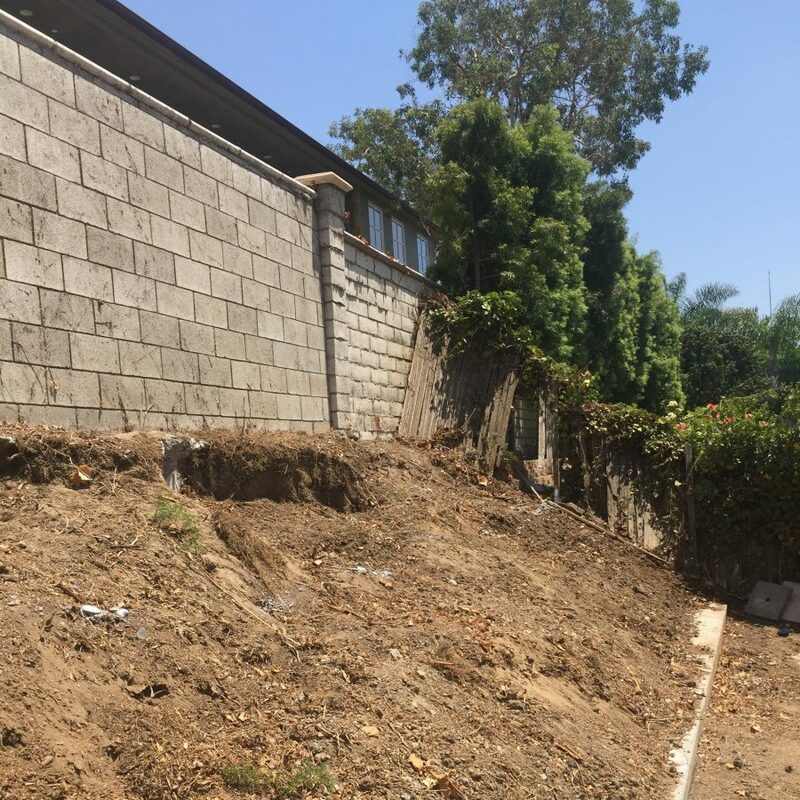 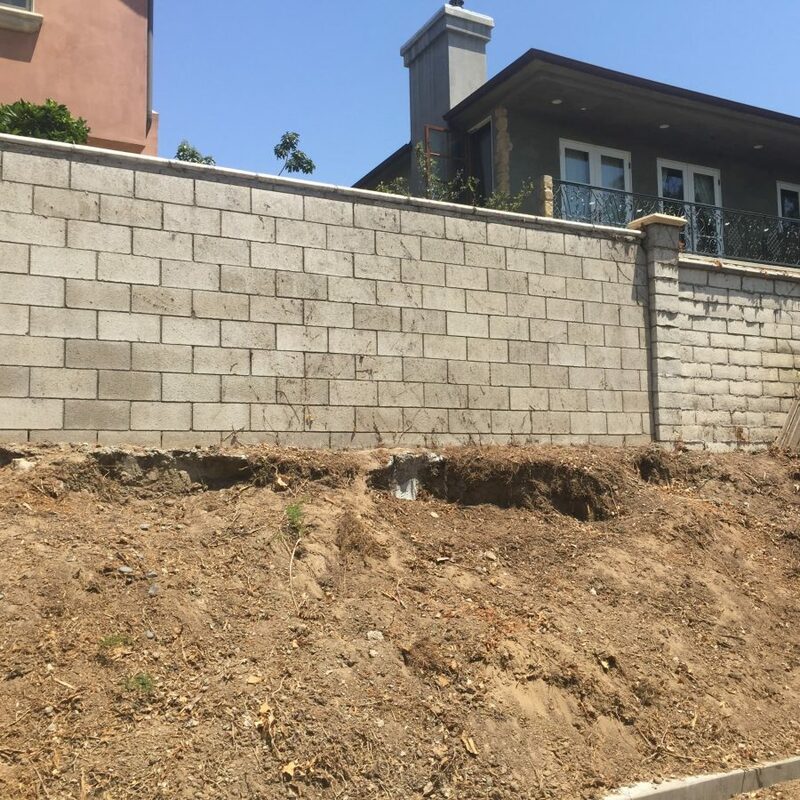 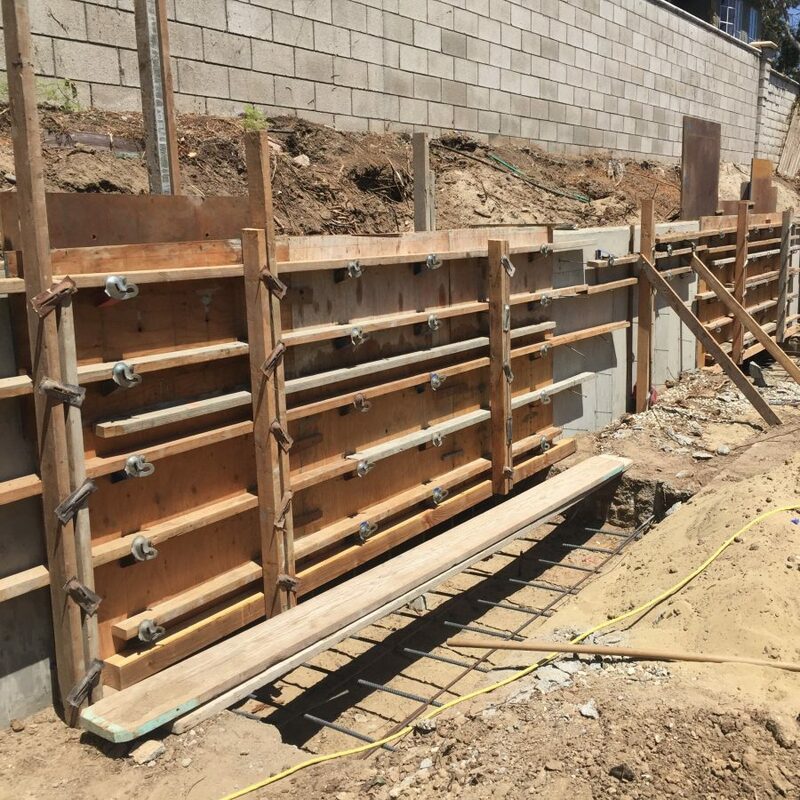 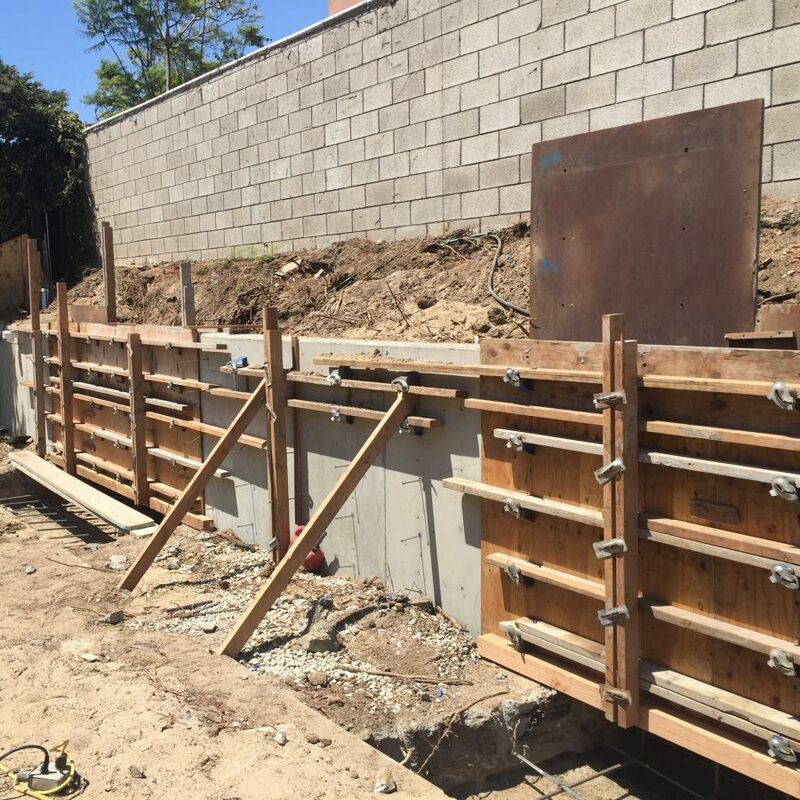 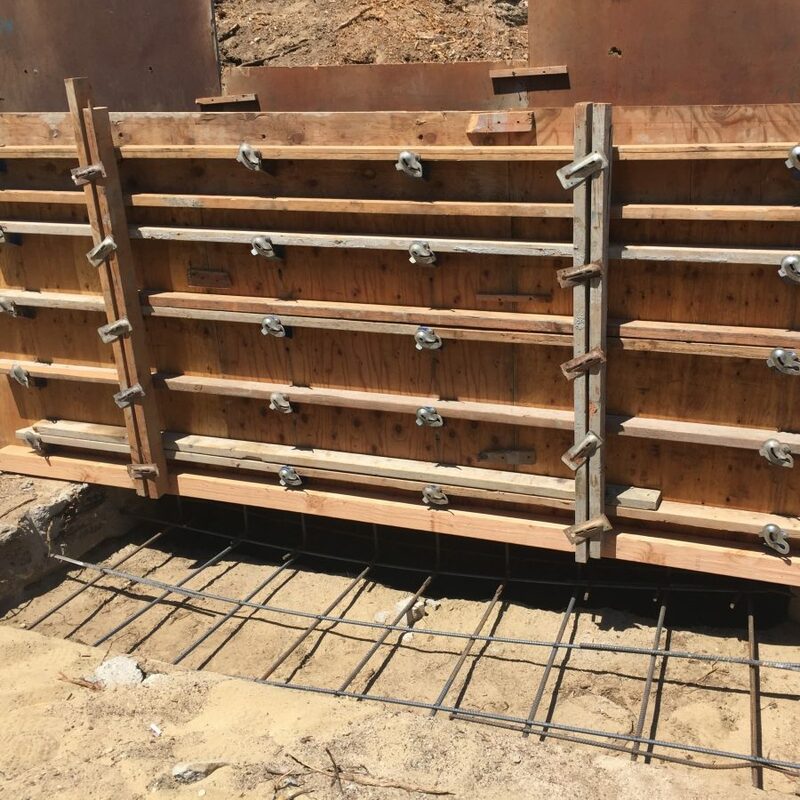 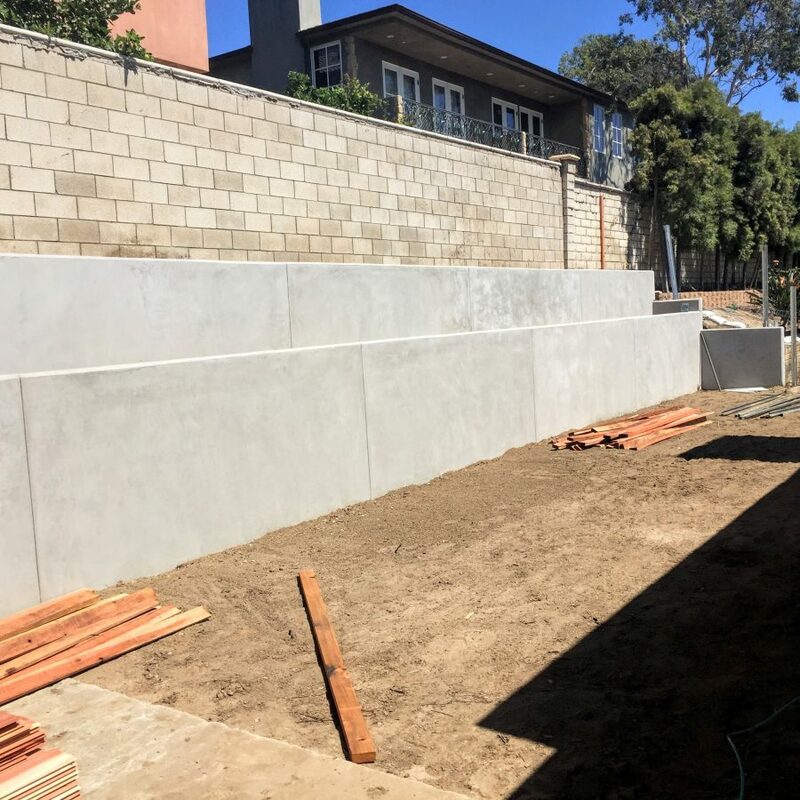 The purpose of the construction was to avoid damage to the existing block wall on the property line wall at the top of the slope and avoid damage to any existing construction.